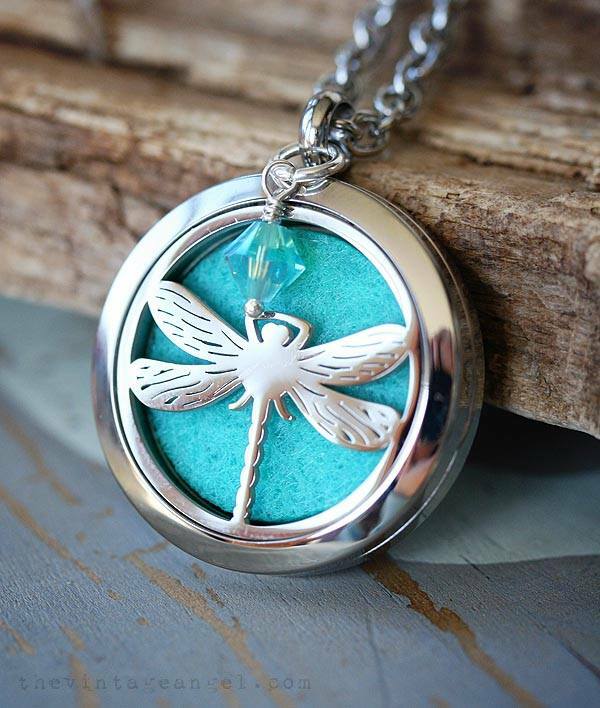 This beautiful 30mm stainless steel locket with strong magnetic closure features a laser cut dragonfly on the face that allows the vibrant aqua of the felt to show through as part of the look. 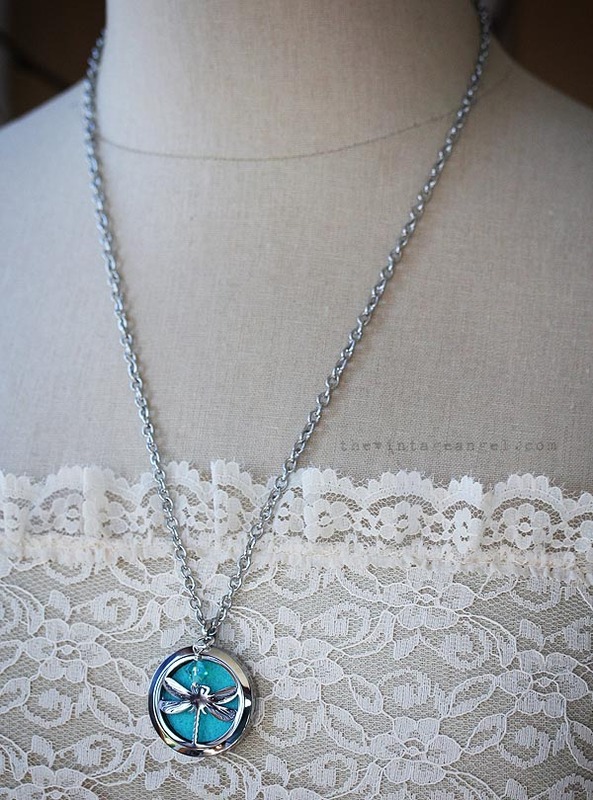 I've accented the locket with a sparkling aqua ab Swarovski bicone and it hangs on a 23" long stainless steel chain. No length adjustments available as these are already made. For use with your favorite Essential Oil. Simply place a few drops of oil on the felt and enjoy the aroma and benefits as you wear it. Refresh as needed. Comes sweetly gift boxed with an instructional card and 4 aqua felts.